you have ever wondered which bird you are looking at, you aren’t alone! These two birds are easily confused and sometimes it takes a little sleuthing to tell the difference. But there are easy ways to tell them apart by looking at body size, beak size and shape, tail shape, and call. When in doubt, rely on what you hear! The basics are easy – ravens are much larger than crows – with a much more substantial beak and scruffy feathers around the neck. 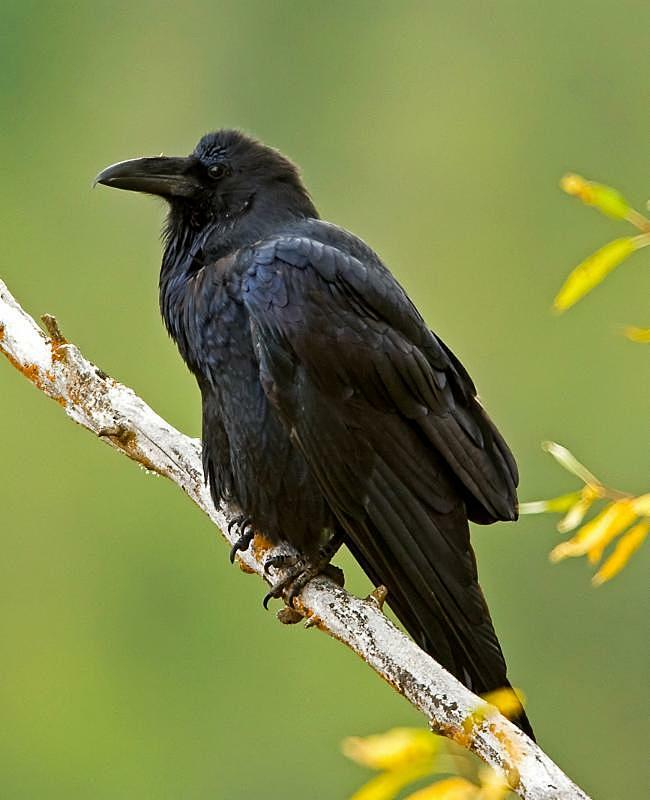 Ravens also have a wedge-shaped tail when in flight – crows have a squared-off tail. Crows are more often found in flocks than ravens, but in the sky, ravens are more agile and elegant. Both are omnivores, but Ravens take the award for intellectual agility and curiosity – definitely smarter than crows! For more info and to listen to an entertaining audio piece on Crow and Raven ID from BirdNote, click here.